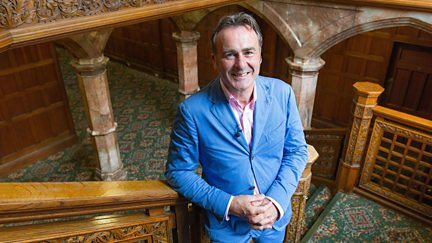 Series 14 Reversions ‹ Flog It! Browse content similar to Series 14 Reversions. Check below for episodes and series from the same categories and more! Items uncovered at Powderham Castle in Devon include a pristine collection of Dinky toys. A collection of interesting and previously unseen finds from around the country. Paul Martin visits Sandon Hall with Christina Trevanion and Charles Hanson. Paul Martin visits Highcliffe Castle with Christina Trevanion and Adam Partridge. Paul Martin visits South Wales with Mark Stacey, Charles Hanson and Catherine Southon. A collection of interesting and previously unseen finds from Flog It! 's travels. Items uncovered include a silver tea service inscribed to footballer Stanley Matthews. Flog It! comes from Powderham Castle in Devon. Flog It! comes from the Highcliffe Castle in Dorset. Flog It! comes from Margam Country Park in South Wales.